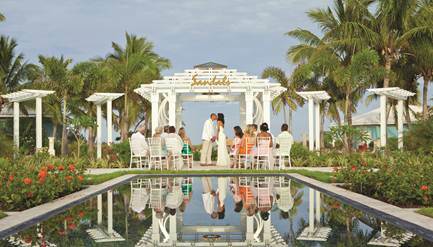 Sandals Resorts International was honored with 22 awards by The American Academy of Hospitality Sciences. The International Star Diamond Award is one of the most prestigious emblems of achievement and is awarded to exclusive recipients throughout the world. Nominations are routinely submitted by world travelers and industry professionals. All decisions of the Academy are based solely on whether the nominee demonstrates a commitment to excellence in luxury and service within its industry’s specific category and classification, including hospitality, attitude, quality, and cleanliness. Jolly Mon Vacations is your Certified Sandals & Beaches Resort Specialist! You can’t go wrong, we guarantee! 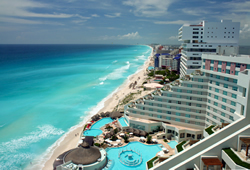 Cancun and the Riviera Maya have become a second home for North American travelers looking for great beaches, lots of sun and exciting nightlife. Mayan ruins sit next door to world-class accommodations and tourism facilities, with water sports and natural attractions close at hand. Only a couple of hours from many United States cities, Cancun is one of the most accessible international destinations available. 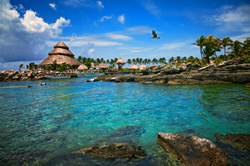 The Yucatán coast has been a staple of travelers from the United States for forty years or more. The rapid development in and around Cancun became a model for the best and the worst in the ways in which tourism could enrich a population. This area was largely isolated from the rest of Mexico until the Mexican government selected the region for development. The Yucatán’s Caribbean coast is more than 236 miles and stretches from Cancún in the north all the way to Chetumal, on the border with the nation of Belize. The northern half of the Yucatán’s coast is known as the “Maya Riviera “; to the south, the “Costa Maya.” Between the two is the Sian Ka’an Biosphere Reserve. South of Cancun development along the Riviera Maya is on a smaller scale, with a greater understanding for the principles of sustainable tourism and a respect for native cultures. The second longest reef system in the world runs much of the length of the coast. Playa del Carmen, Xpu-Ha, Tulum and the other magnificent beaches occur where there are gaps in the reef and the tidal action of the ocean’s waves pounds the reef into fine sand. The reef provides great snorkeling and diving and the beaches are some of the world’s finest. Ancient Mayan ruins dot the coast and are easily accessible from the resort communities along the coast. Inland, vast caves are present and under ground rivers run where travelers can explore with experienced guides. The choice of accommodations is large and varied from cabins to all inclusive resorts or boutique hotels. 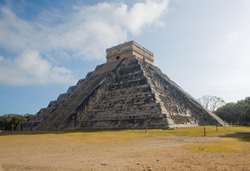 The ancient Mayan cities of Uxmal and Chichen Itza remain some of the best examples of the mysterious cultures, the vestages of which exist to this day in the native populations. © Copyright 2011 Travmarket. LLC. 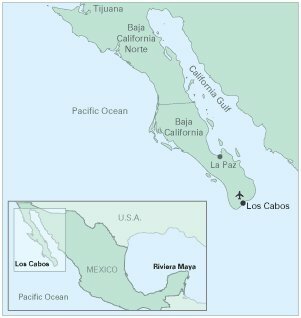 Baja Peninsula. Where the Pacific Ocean meets the Sea of Cortez. Pictured above is the beautiful Dreams Los Cabos Suites Golf Resort & Spa. 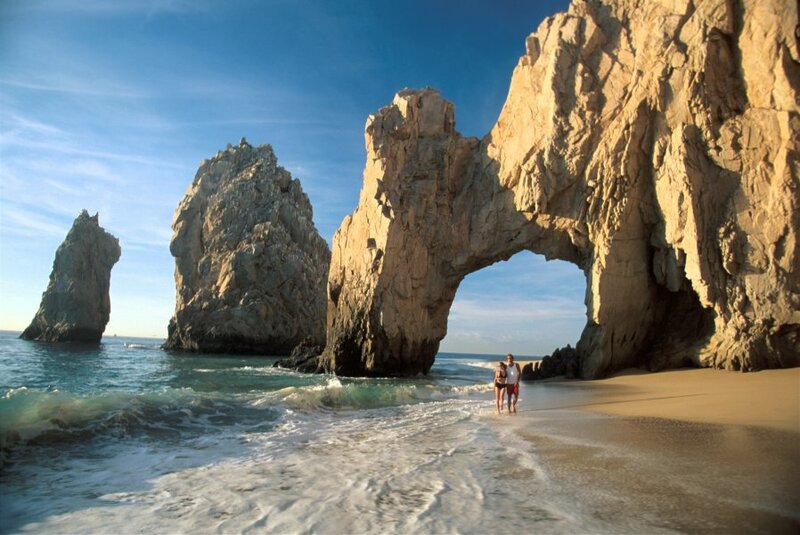 Why You Should Go to Los Cabos Just visualize yourself in these pictures! rocky arch El Arco de Cabo San Lucas. luxury resorts and championship golf courses. Cabo’s Fantastic All-inclusive Resorts Is that you lounging by the pool? 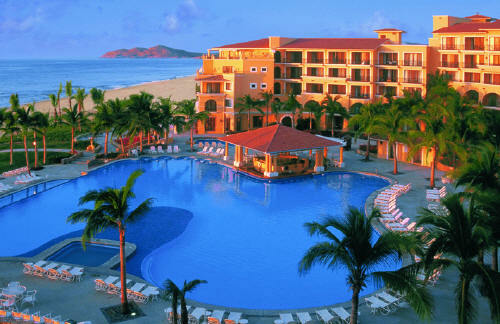 There are plenty of different accomodations located around Cabo. Where Do We Go From Here? How can I learn more, or book a vacation? 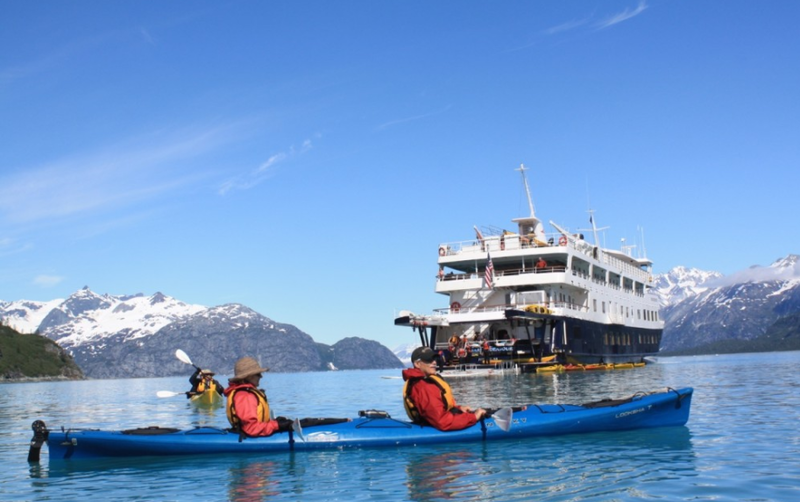 cruise in Europe, or a trip to the islands…JMV’s is here to help. There are no fees for our service, so you can’t go wrong. with ‘too good to be true’ prices. lamp. Who will be looking out for YOU? Your discount website? with us, JMV’s will pay you cash!